This updated edition includes fourteen new recipes to reflect the rising popularity of gluten-free baking and vegetarian eating. Higgidy is known for its scrumptious pies and tarts. In this updated edition of their debut cookbook, co-founder and chief pie maker Camilla Stephens ventures beyond pastry with new recipes for healthy and delicious frittatas and more. Also included of course are mouth-watering Higgidy classics such as Chicken Pot Pie, the Best Quiche Lorraine and Salted Pecan Fudge Pie.From chapters on Simple Suppers and Quirky Quiches to Party Pies and Sweet Treats, all your cooking needs are covered, so you can enjoy a Simple Fish Pie for an after-work supper, Lemony Asparagus & Ricotta Tart for a summer picnic, Little Hot Dog Rolls and Mini Chorizo and Chilli Tartlets for a party, and a Chocolate Snowflake Tart for a wintry treat.With Camilla's expert guidance on foolproof pastry techniques added in, this is a wonderful source of heartwarming recipes for family and friends. 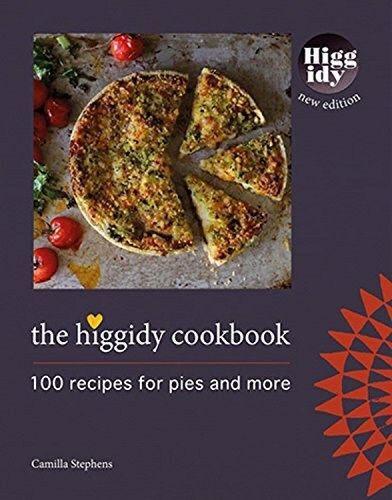 The Higgidy Cookbook: 100 Recipes for Pies and More!